who cares, because Honda can't reproduce the magic that led to the creation of the S2000. People are thinking that a new S2000 will carry the torch of the original but you can't do that when you stop production and try to fire it up again 20 years later. The Miata can do that as they kept improving the original car in small increments, as Scotty Kilmer says in one of his famous youtube videos, the best cars are ones that have been in production for many years and continually improved in increments over time. Honda today must appeal to a large group of customers who have vastly different preferences than "normal" people like us. Then they have to work within crippling fuel economy and emissions standards, and a company now over-run with bean-counters instead of engineers (upside down and opposite to what it was in 1999). I'm sure Honda could absolutely kill it if they had free reign to do whatever they wanted and had a driven project leader with passion like Shigeru Uehara was. But it's exactly like you said, today's consumer wants as quiet, comfortable, tech-filled, nanny-packed, least involvement while driving as possible. "Nobody wants manuals anymore" in the main consumer demographic, which is why cars that were historically manual are now auto like the new NSX, the travesty called the Supra, etc. Bottom line is if anyone wants a car like the s2000, go buy an s2000, because you definitely shouldn't be looking forward to a new iteration of it, consumer wants have shifted wayyyyyy too far away from what the s2000 is. Companies that produce cars exclusively performance-oriented like Porsche etc will always be around because they cater to that core audience and always have first and foremost. A company like Honda overrun with maximizing green and staying out of the red would never take a chance on developing something like that again. Kinda a shame that driving is what it is to your average person / consumer nowadays. It's more of a chore than something to be enjoyed....so cars are packed with as many bells, whistles, and distractions as possible to "entertain" the driver when driving is what used to be the entertainment, it's pretty sad. A vast majority of young people don't want to have anything to do with a manual, and since "Millennials" are the up and coming consumer, it shows, lol. 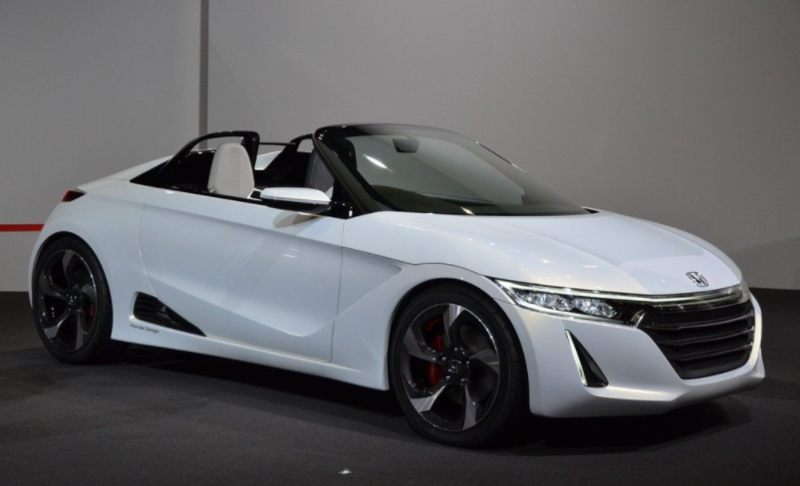 If I recall I thought Honda was working on an export version of the S660 ie S1000, did that fizzle? That's about as close to an s2000 as we'd get today, but that thing has even less amenities than the s2000 in the fact that it has absolutely no trunk. In The US some significant safety changes have been adopted by NHTSA that would require significant modifications to the S2000 to allow it to be sold here. Changes include a static roof crush doubled from 1.5 times unloaded weight to 3.0 times and the use of a backup camera. The CAFE requirements would penalize lower MPG vehicles based on vehicle footprint, meaning Honda would have to sell more lower profit margin hybrids and gas sipping econoboxes to offset vehicles with higher MPG. Not that the S2000 has high MPG but for its footprint it would be a detriment. To achieve a 5 star rating they would have to implement a number of crash avoidance systems such as lane assist, blind spot detection, forward collision warning and lane departure warning, anything less than 5-star rating would kill sales, so the cockpit and dash would have a lot more "stuff". Going with new automotive trends it will either be electric and 9 speed automatic. Or have the 1.5t earthdreams motor. Look at the new NSX. There will never be another S2000. Name maybe, but not spirit. Porsche and Mazda are the only companies that makes cars like the S anymore. Companies that produce cars exclusively performance-oriented like Porsche etc will always be around because they cater to that core audience and always have first and foremost. A company like Honda overrun with maximizing green and staying out of the red would never take a chance on developing something like that again. And even Porsche wouldn’t be around building sports cars today if it wasn’t for cayenne, macan and to panamera! Too true, and too sad. The future is full of self driving suv's.